There are several questions on how to enable plugins on Tor, all answered. My question is simple, how can I add Flash and/or Silverlight plugins in Tor and make sure they actually work, and please don't give me that "oh your security is blown" talk. I would actually like to see these plugins working, even if just as a proof-of-concept, because everyone says it supports them but they are disabled by default, but after trying everything I could find, it still doesn't work. I've whitelisted sites, I've installed 32 bit versions of the extensions, enabled them in noscript, etc., but my add-ons page always comes up empty. If this is not possible, we should stop saying it is and just accept it isn't. If it IS possible, then please help me checking what I have to do that I haven't done yet. Can Tor be used with Netflix or Hulu? Look, using plug-ins in the Tor Browser is the same as using your default browser. Any protection from Tor is lost because the plugins COMPLETELY IGNORE THE PROXY SETTINGS. If you want to use plugins, don't use Tor. Trying to use both at the same time is most wasted effort. The only difference between doing this and using your normal browser is the fact that your normal browser already has the plugins installed. In fact, it'd be easier to set up a local Tor proxy, and tell your default browser to use that. Since plugins ignore the proxy, you'll get the exact same effect as on the Tor Browser. Documenting my findings in case it helps someone else. 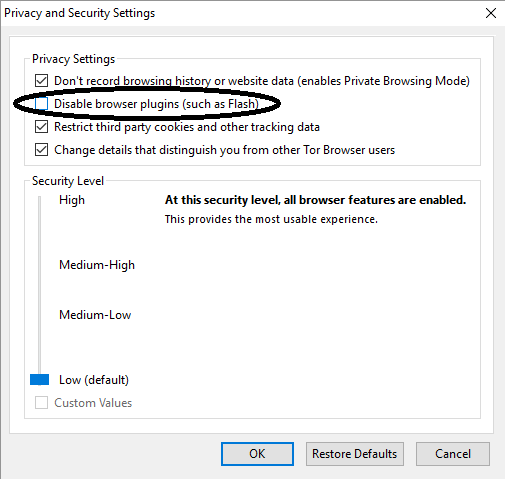 Tor > Privacy and Security settings > uncheck "Disable browser plugins (such as Flash)"
Mozilla plans to drop support for all NPAPI plugins except for Flash in March 2017, when Firefox version 52 is released. Not the answer you're looking for? Browse other questions tagged plugin or ask your own question. 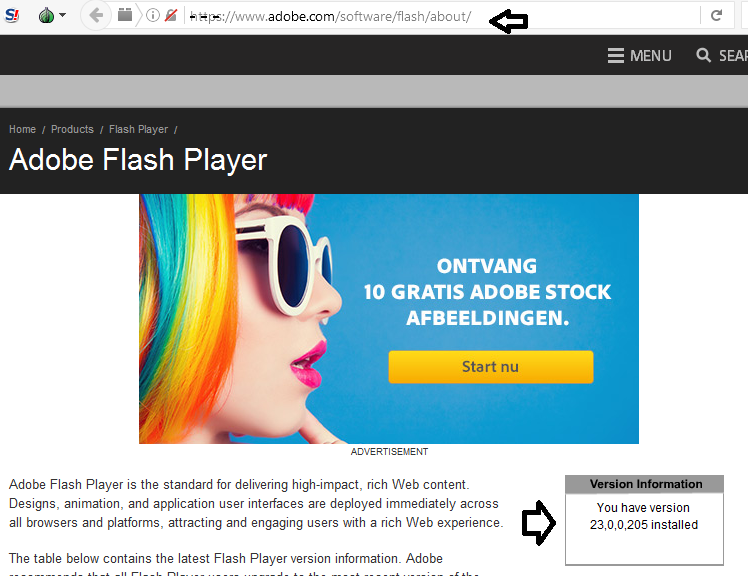 How can I remove flash player forever from Tor?